What Types of Abestos Materials Are There? Fire proofing panels in fire doors/panels behind fires & boilers. Different types of asbestos can also be found within textured decorative coatings on walls and ceilings. In the past, the leading brand was Artex, however this is not the only type that is in circulation. 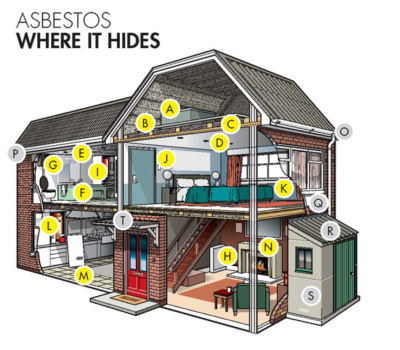 Asbestos cement is a mixture of chrysotile (white asbestos) and traditional cement. This is then moulded, compressed and shaped to produce a wide array of cement products for different applications. 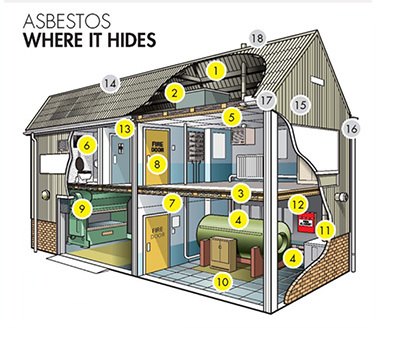 Asbestos cement roofs are mainly made from corrugated asbestos sheets of cement, which are often large in size. Often found on industrial or agricultural buildings, but can also be found on garage roofs and sheds roofs. Asbestos downpipes and gutters are often attached at the end of cement roofs in warehouse, industrial and agricultural buildings. These are often located within domestic boiler systems, ventilation systems and air conditioning systems. It is common for drainage pipes, such as water and sewage pipes to be made from pitch fibre asbestos cement. Due to its lightweight and easy to handle characteristics, asbestos cement was added to provide additional strength. Asbestos floor tiles was traditionally a popular choice for flooring. Today, in older residential properties it is often concealed by carpets. In older industrial and commercial properties, historical tiles left in situ may need to be removed as comprehensive refurbishment renovations are undertaken. Asbestos fibres can be found in textiles such as fire blankets and heat resistant gloves and asbestos composites can be used in older toilet cisterns, window sills, and bath panels. Was used for lining under tiles and inside metal cladding. 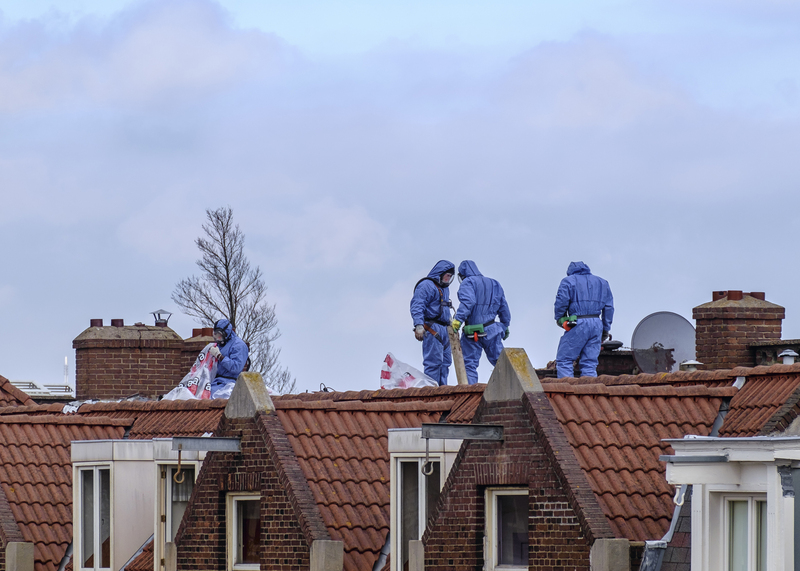 Sprayed asbestos coatings can be found on the underside of roof, the insides of side buildings and warehouses. It is often used as a fire protective coating.